To live your life in such a way that the room in which you spend your last moments becomes sacred ground—that is what it means to live a consecrated life. Such was the life of Dale Edwin Andersen, who passed away on Sunday evening surrounded by those he loved and who loved him. Dale’s exemplary life as a disciple of Jesus Christ has prompted many expressions of honor and reverence at his passing, and his death has sealed as fulfilled the many sacred promises he made during his life. Dale started out life as the rambunctious third son of Hans Verlan and Shirley Hoyt Andersen. His birth was followed by the births of nine more siblings in the Andersen home, where a love of God and hard work were taught, forging in Dale the habits and beliefs that would lead him throughout his life (though he never lost his rambunctiousness). Dale’s first sacred promise was made at his baptism in 1956, covenanting to take upon himself the name of Christ, to suffer with those that suffer and mourn with those that mourn, to always remember Christ, and to keep His commandments. Because of his fidelity to these promises, Dale was blessed with the Spirit of God in his life which refined and enhanced his natural inclination to love and serve others, and led him to make further sacred covenants in the Salt Lake Temple when he was 19 years old. He immediately set out to honor those covenants by serving a mission, and was called to serve the good people of Finland where he preached the gospel with love and resilience. 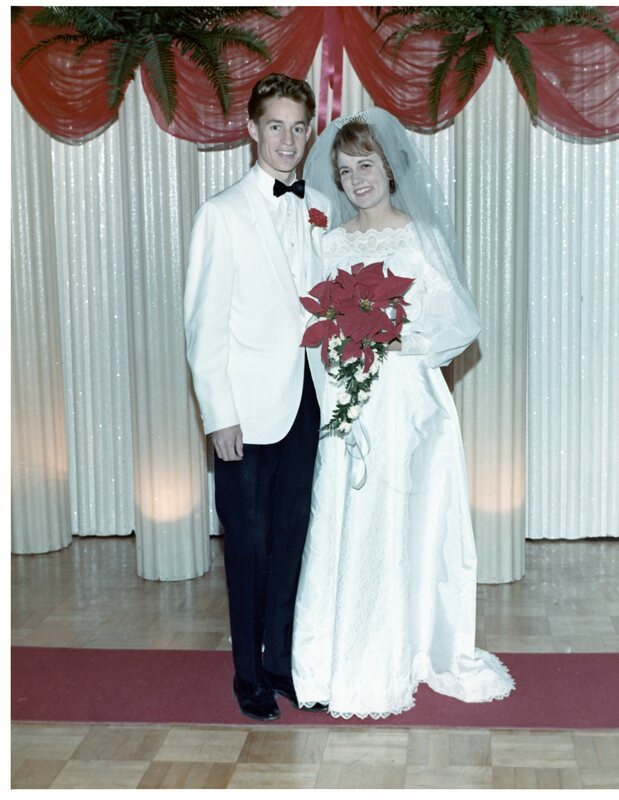 But Dale’s most cherished covenant came after he returned home from Finland when he was sealed to his dear Sue Jacob in the Salt Lake Temple on December 18, 1969. Few could match Sue’s grace and vivaciousness, but Dale was up to the task of trying. 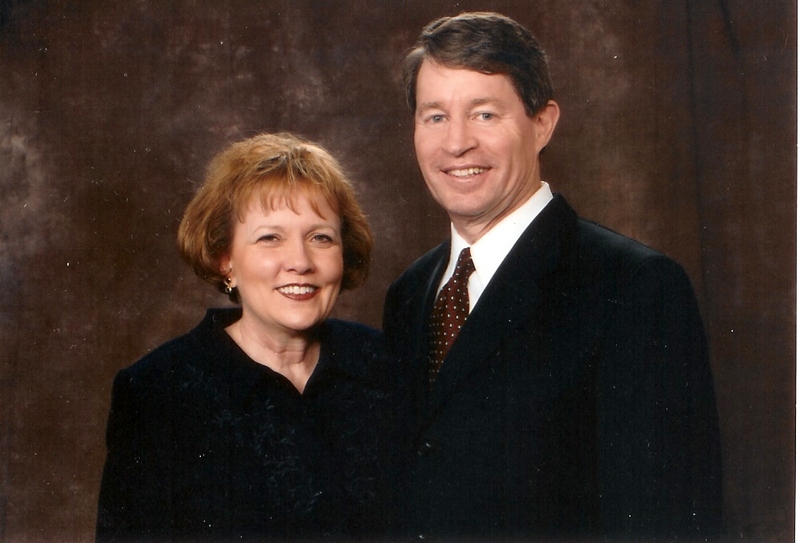 Dale’s love for Sue and her love in return provided the firm foundation upon which they built the home that would see eight children raised with love and a sure understanding of important truths. 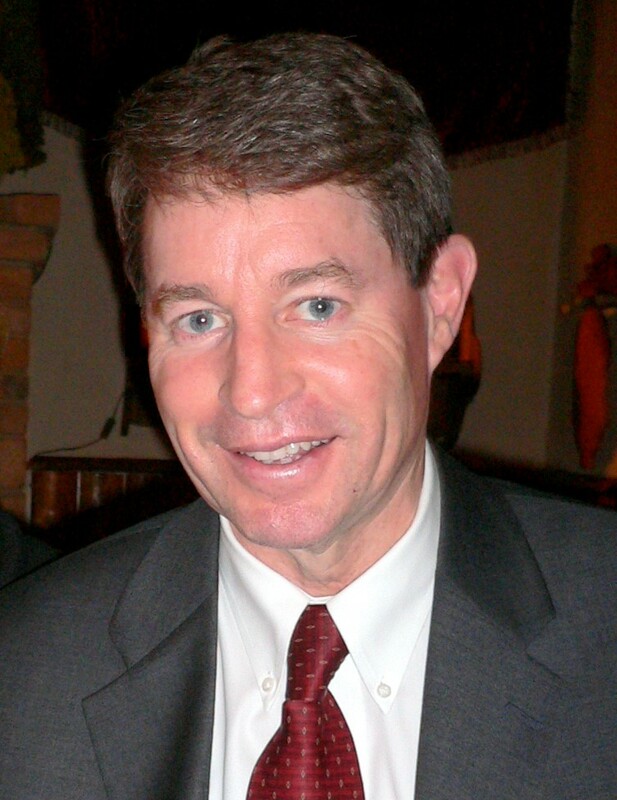 With Sue’s support, Dale served his country in the National Guard, earned a law degree from the University of Utah, and started a law firm with partner Ken Smith in Mesa, Arizona. Dale was asked to take on many different responsibilities in the Church, and Sue served alongside him as he faithfully magnified his callings. Many tender experiences of spiritual guidance and service marked his time serving as bishop, and his calling as stake president allowed him to serve many more. He took particular care to ensure that the young men and women in his charge were taught their worth in the eyes of God. He continued in that same spirit as the president of the Donetsk, Ukraine mission, where he and Sue endeavored to minister to the missionaries who were called to serve in that arduous work. Dale and Sue’s faithfulness to their covenants and their dedication to service allowed them to bless many lives and provided their eight children with a clear example to follow and the love and self-assurance to do so. Dale is survived by his dear Sue; his mother Shirley Hoyt Andersen; 5 sisters and 3 brothers; children Annette (Gregg Cowley), Laura (Matthew Callister), Dale Jr. (Julia), Marianne (Jeremy Olsen), David (Tricia), Tom (Jennifer), Alyse (Carlos Kemeny), and Kate (Jonathan Allred); and 46 grandchildren. Funeral services will be held on Saturday, May 27, 2017, at 11:00 am at the Mesa Central Stake Center, 925 N. Harris Dr., Mesa, Arizona. A viewing will be held the night before on Friday, May 26, 2017, from 6:00-8:00 pm at the same location, and again prior to the funeral on Saturday morning from 9:00-10:30 am. We send our love and prayers to you and your family. We are grateful for your friendship, examples, and service to all who know you. President Anderson is a great man. We were saddened to hear the news of Dale’s passing. We both have wonderful memories of serving with Dale and watching as he presided over our ward and stake. We also have precious memories of watching you and Dale raise a wonderful family whom we also love. What a legacy you have created for your family and for all of us who know you! Love love you and Dale, and your family. Our prayers are with you and your family. Dale was one of the “good guys” and there will be many who will feel this loss. Although difficult now, there will be great joy in celebrating his life. Best to you and yours Sue! A true man of God, it was a pleasure to have known him. He was a blessing to this earth. May God continue to Bless and keep his wife,Sue, and his family. While President Andersen was my mission president for only one month, I will always remember the tremendous amount of love I felt from him. It was immediate. I knew the mission was in good hands with the new president. There was even a feeling throughout the mission that many of us felt during our first interview with each of us, he was able to gaze into our souls. I knew he had received the mantel of his calling and that he was a man of God, a true disciple of Jesus Christ. I’m glad to have known him, albeit briefly in mortality. Best wishes to Sister Andersen and family. What a beautiful tribute to a man whose life influenced so many others’ for the better! I’m forever grateful for the example you set and the impact you had in my husband’s life and I’m grateful I had the brief opportunity to meet you in this life. Until we meet again, President Andersen! Sue and family, our thoughts and prayers are with you. We will always be indebted to Elder Andersen for his friendship with Evan back in Finland. May you find comfort in your sweet memories. Dear Sue and Family, We are so sad to hear of Dale’s passing. We love you and our prayers are with you. Dale truly is a ‘son of God’ as was Captain Moroni. Sue, you are truly a daughter of God in the same way and stand shoulder to shoulder with Dale with regard to good works and a life dedicated to service to others. What a blessing you both are to our family. Dale was my Bishop and then our Stake President until he was called to the Ukrainian Mission. There was no greater example of love this man had for his fellow man. He will be missed! Yes, Dale was a spiritual giant and truly a man of God, but he was also a great friend with a charming sense of humor. I will not forget our times with him and his sweet Sue. Sue and Andersen Family, we just want to express our deep condolences to you at this difficult time. Dale was one of the best and Sue, you have always been right by his side. He was a great example of spiritual strength with a little wit interspersed. How we loved him and love you and all of your family. May the Lord bless you in the coming days, weeks and years ahead. I am so sorry to hear about the passing of Dale. You have no idea the impact your family had on me as a youth. I am so thankful to have had you as part of my life during such formative years. God bless you during this time. Our sincere condolences to each family meme and friend of Dale. Dear Sue, Paul Jacob (your cousin) and I are feeling your heart pain. Thank goodness for the truth that gets us by. Dale was a Senior at South Mountain High School when I was a Freshman. He was so kind and even danced with a silly little Freshman at a school dance. Love and hugs to his family, especially his sisters, LaDawn and Karen.